It’s incredible that it’s been over three decades since BMW engineers started their creation of the BMW R 80 G/S. Then, it was considered a new breed of motorcycle. This was the first volume-production machine to offer respectable off-road capability without compromising too much on it’s road-riding and touring capabilities. 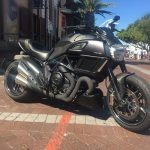 The aim was to create a machine that was less restrictive in terms of where you could ride it, creating new opportunities for adventure on different terrains, such as gravel paths and sandy roads. January 1993 saw the arrival of the first four-valve boxer engines in the R 1100 RS, with the R 1100 GS following close behind in September of the same year. In summer 2004, BMW presented a new generation of its classic enduro model. 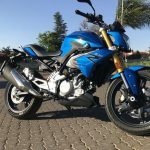 Rather than facelifting the existing R 1150 GS, the company decided to create a new motorcycle, the R 1200 GS, which replaced the BMW R 1150 Adventure. Whether riding on your own or two-up, touring is an adventure that BMW has now taken to a whole new level with their R1200 GS range. 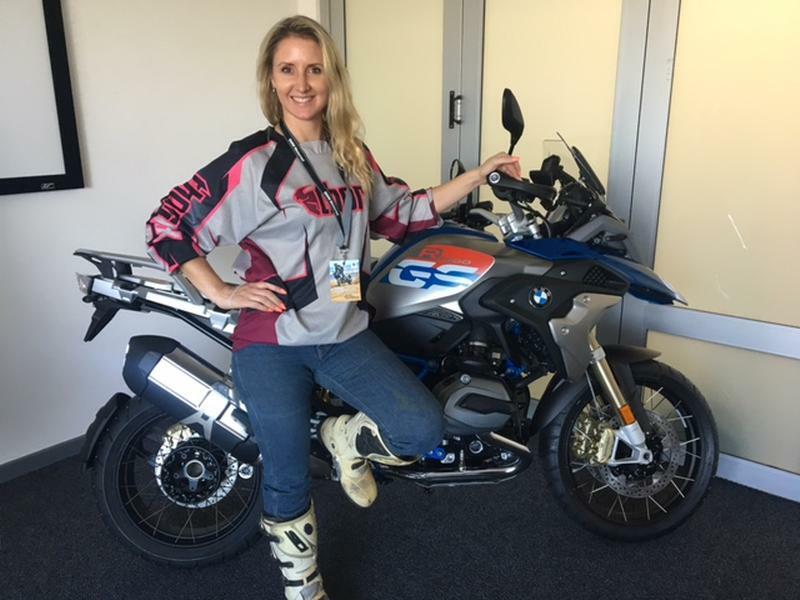 We were fortunate to join the BMW South Africa launch where we were able to test the new BMW 2017 R 1200 GS range. This BMW touring enduro is a motorcycle aimed at challenging riders to set out for faraway destinations, and reach beyond their own limits with a machine that is build for reliability and maximum touring comfort, whether seated or standing. 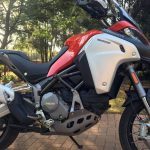 Standing on an adventure/enduro motorcycle is not for everyone, but the new BMW R 1200 GS Rallye stood out for me, as it makes it so easy, even if your background is mostly road-riding. The launch itinerary was set out over two days. One day was for touring on tar and the other day was a gravel day that some may have viewed as too much ‘dirt’ for a road-rider. However, besides getting a face full of dust, I couldn’t get enough of the BMW R1200 GS Rallye, which encourages you to attempt more challenging terrain without any struggle. Standing up also provided an opportunity to see a bit further ahead and enjoy the comfort of the position. Whether by one foot or one metre, ‘flying’ feels a fair and appropriate description for the Rallye riding experience. It is after all one of the main objectives BMW had when taking their boxer engine (of only124 kg) and entering it in the German motor sport over-750 cc class of off-road competition in 1978. The question to be answered was, “Can boxers fly? They sure can. BMW made the breakthrough by taking the gold medal for riding ability and technology. After several Dakar victories the “Paris-Dakar” was released for general sale. 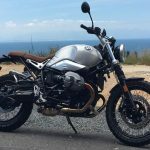 BMW was able to use the experience gained from these events and develop their R 80 GS and R100 GS models extensively through their off-road racing ventures from the last 37 years. This kind of dedication and development is necessary when you want to become a market leader. Looking at the sales and market share percentage that BMW holds a firm grip on, its no secret that they are at the top of their class. BMW is goal-driven and focused on providing their current and future clients with even better handling, power, durability and reliability, along with so much more. • To further increase performance overall – without neglecting its well-established virtues. • To perfect its touring suitability. • To achieve superior figures within the travel enduro segment and beyond, in terms of engine and riding performance. • To ensure preparation for the future in terms of noise and exhaust emissions. • Suspension with top handling, optimum traction and increased off-road performance. • To increase active and passive safety. • Unmistakable BMW Motorrad design in typical GS-style. • Top quality typical of BMW Motorrad. 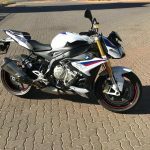 The new 2017 R 1200 GS models offer all the advantages of the predecessor models but in a far more dynamic form. They have refined and distinguished the appearance in styling and functionality. R 1200 GS Rallye claims to be the sportiest GS with numerous refined details. These include the Rallye seat, which features perfect ergonomic shaping for maximum freedom of movement while still offering excellent seating comfort – for two if necessary. A low-cut sports windshield on the Rallye provides you with better visibility and allows for comfort and space without restrictions when standing. The Lupine Blue metallic colour, with over-painted decor elements on the fuel tank sides, are reminiscent of the BMW Motorsport colours; particularly the powder-coated frame in Cordoba Blue. The new R 1200 GS Rallye rolls on cross-spoke wheels with off-road capability. Off-road enthusiasts can also opt for the sports suspension ex works. This sports suspension benefits experienced off-road motorcyclists who know when to convert suspension reserves into more performance without overtaxing the motorcycle or themselves. Heavy and tall riders will appreciate the advantages of this spare capacity due to the tighter suspension set-up, especially when riding off-road. • Dynamic Package comprises DTC, LED-headlight, Hill Start Control, Shift Assistant Pro, Riding Modes Pro, ABS Pro, LED turn indicator. • Comfort Package comprises chrome exhaust system, heated grips, Tyre Pressure Control RDC, hand protector. • Touring Package comprises Dynamic ESA, Keyless Ride, On-Board Computer Pro, preparation for navigation unit, cruise control, case holder. • Control Brake Light (Only with Dynamic Package). • Daytime Riding Lights (Only with Dynamic Package).